10 September 2018 Ashley S. Miller Specialist of Customer Service Dept. How to remove the background sound from videos? Try the entirely free video sound remover - Renee Video Editor! Just a few simple clicks you can remove the sound without trace and even add the background music and edit the video! Similar situations happen frequently. But these should not stop us from sharing videos with others. At this moment, you can remove the sound from the video with free video sound remover – Renee Video Editor! Supports remove audio/sound from WEBM, MKV, MP4, AVI, MOV, WMV, FLV, MPG, VOB, MTS, etc. 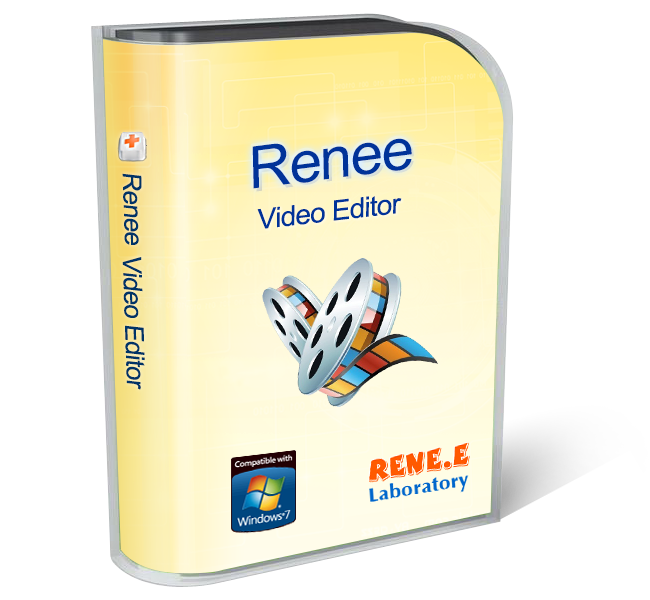 Get Renee Video Editor now! Supports to remove sound from video in most video formats. Also, users can add music as bgm to the video. Software will not limit the size or duration of the video or audio. 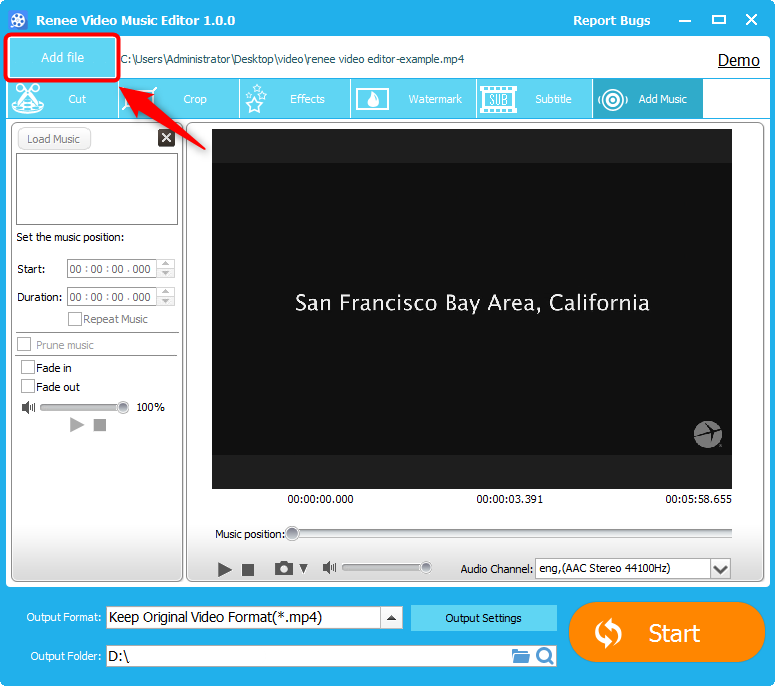 Besides, Renee Video Editor provides more edit tools like add watermark (text and picture are available), trim unwanted parts from video, convert videos into different formats, cut videos into parts,etc. Support to add subtitle, effects to video and adjust brightness, contrast and saturation as well. people have downloaded Renee Video Editor and remove sound from videos! Step 1: Launch entirely free Renee Video Editor and click “Add music”. Step 2: Click “Add file” button and select the target video you want to mute in the browser. Step 3: Select “Mute” in the “Audio channel”. If you do not need to add background music or make any other operations for the video, you can jump to Step 6. Step 4: Please click “Add Music” to select background music. If you can not click the “Add Music” button, please click “Stop” button and then continue the operation. Step 5: Edit the background music. You can set the music position by designating the certain time and adjust the volume of the music. Besides, fading in and fading out are available. Step 6: Click “Start” to get the new video. If you want to convert the video into other video format, just click “Output Settings”. 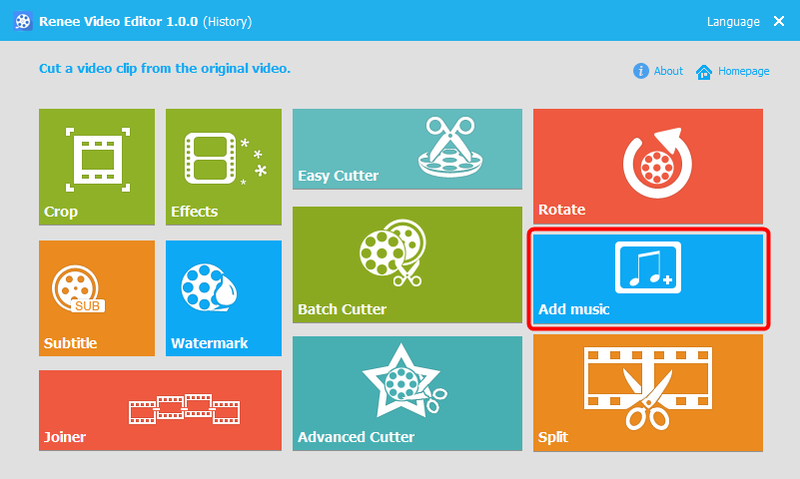 And select the format you want or you can choose the output format on the basis of the device you play the video with. Do not need to worry about the unwanted sound in your video! With free video sound remover – Renee Video Editor, you can remove it in 3 simple steps. Also you can edit the video at the same time! Download the free-limit version now! Free Video Trimming Software - Trim, Edit, Convert! Edit video & audio at will with multiple edit tools here!